Information was filed under Section 19(1)(a) of the Competition Act, 2002 (“Act”) initially against 3 car manufacturers (Honda Siel Cars India Ltd (“OP1”), Volkswagen India Pvt Ltd (“OP2”) and Fiat India Auomobiles Ltd (“OP3”)), alleging anti-competitive practices on part of the opposite parties (“OPs”). OP1 to OP3 were involved in the business of manufacture, sale, distribution and servicing of passenger motor vehicles in India and also operated/authorized/controlled the operations of various authorized workshops and service stations which were selling automobile spare parts, besides, rendering aftersale automobile maintenance services. The informant alleged that the components and parts used in the manufacture of OP’s respective brand of automobiles were often sourced from independent original equipment suppliers (“OESs”) and other suppliers were restrained by the OPs from selling them in the open market. Such restriction on the OESs limited the access of such spare parts/components in the open market, thereby, allowing the OPs to create a monopoly-like situation in spare parts for their respective brand of automobiles, and enabling the OPs to influence and determine the price of the spare parts/components. The Director General (“DG”) investigated the market practices of all the automobile manufacturers or original equipment manufacturers (“OEMs”). During the course of the investigation, it was observed that other car manufacturers also indulged in similar practice. Vide Commission’s order dated 26.04.2011, the scope of the investigation was extended to 14 other opposite parties. The OPs argued that the scope of the inquiry was confined only to the 3 OPs named in the information. The Commission, on the basis of the judgment in CCI v. Sail (2010) 10 SCC 744, held that being an expert body, it is clothed with a duty to prevent practices having adverse effect on competition in the markets. Hence the Commission is mandated by law to examine the issues in a holistic and not in a piecemeal manner. In the present case, the direction of the Commission was with respect to alleged anti-competitive conduct by the said industry in general and not specifically qua the car manufacturers named in the information. Definition of Relevant market: The Commission held that there existed two separate relevant markets; one for manufacture and sale of cars and the other for the sale of spare parts and repair services in respect of the automobile market in the entire territory of India. The automobile primary market and the aftermarket for spare parts and repair services does not consist of a unified systems market since: (a) the consumers in the primary market (manufacture and sale of cars) do not undertake whole life cost analysis when buying the automobile in the primary market (as data required is either not available or the data is very complex) and (b) in-spite of reputational factors (The OPs submitted the theory that reputational concerns in the primary market usually dissuade the manufacturer of the primary market product from charging exploitative prices in the aftermarket) each OEM has in practice substantially hiked up the price of the spare parts (In certain cases upto 5000% approx ) since the customers are ‘locked in’ the aftermarket due to high switching cost and depreciated value of the vehicle post registration. Assessment of Dominance of OEMs: The Commission was of the view that each OEM is a 100% dominant entity in the aftermarket for its genuine spare parts and diagnostic tools and correspondingly in the aftermarket for the repair services its brand of automobiles. Factors under Section 19(4): The Commission while considering factors under Section 19(4) noted that in terms of ‘market share of the enterprise’, each OEM is a monopolist player and owns a 100 per cent share of the market share of the spare parts and repair services aftermarket for their own brand of cars. As far as ‘dependence of consumers on the enterprise’ is concerned, the limited interchangeability of spare parts between the automobiles manufactured by various OEMs made each consumer completely dependent upon such OEM. With respect to ‘entry barriers’ under Section 19(4), the Commission noted that barriers to entry can include advantages peculiar to the dominant company and the technical compatibility of a consumable secondary product to the durable primary product act as such a barrier. Further, each OEM had also created barriers in the entry of independent repairers to the aftermarket of the repairs and maintenance of its brand of cars. Abuse of Dominant Position: Each OEM through a network of contracts restricted the supply of genuine spare parts of models of automobiles manufactured by it to the aftermarket and imposed restrictions on their respective localOESs from supplying spare parts directly in the aftermarket. The Commission found the OEMsto be indulging in anti-competitive practices resultingin contravention of section 4(2)(a)(i), 4(2)(a)(ii), 4(2)(c) and 4(2)(e) of the Act. Denial of market access: The Commission held that the OEMs have violated Section 4(2)(c) of the Act. OEM, being a dominant player in the aftermarket for the supply of spare parts and diagnostic tools, through a network of contracts, limited the access of independent repairers and other multi brand service providers to genuine spare parts and diagnostic tools required to effectively compete with the authorized dealers of the OEMs in the aftermarket. Unfair Price: The Commission was of the view that Section 4(2)(a)(ii) does not prohibit profit margins; only unfair prices have been prohibited. Unfair price means price which is unrelated to the ‘economic value’ of the product and that such price is being charged because of the enterprise’s capacity to use its market power in that relevant market to affect its competitors or consumers in its favour. The Commission considered the decisions in British Horseracing Board v. Victor Chandler International  EWHC 1074 (Ch) and General Motors Continental NV v. Commission  ECR 1376 and noted that the fact that the OEMs are the only source of genuine spare parts compatible to its brand of automobiles in the aftermarket allows such OEMs to use its dominant position to reap trading benefits. The DG’s investigations revealed that all OEMs had substantially marked up the price of its spare parts by an average of 100% and in some extent to as high as 5000%. Such exploitative pricing conduct by each OEM is a manifestation of lack of competitive structure of the Indian automobile market and structural modification of the competitive nature of such market will itself induce market self-correcting features. Leveraging: The Commission held that the OEMs are in violation of Section 4(2)(e) of the Act because they use their dominance in the relevant market of supply of spare parts to protect the other relevant market, i.e, after sales service and maintenance. The OEM and the authorized dealers allowed the use of genuine spare parts only for purpose of undertaking service and repairs at the workshop of the authorized dealers. Therefore, in most cases the owner of the automobile was completely dependent on the authorized dealer network of the OEMs and was not in a position to avail services of independent repairers. In addition to this, nearly all the OEMs had warranty clauses which effectively denied any warranty to the owners of automobiles if such owners availed the services of the independent repairers or other multi brand service providers. Further, none of the OEMs allowed their diagnostic tools, repair manuals etc., to be sold in the open market, thereby foreclosing independent repairers from the aftermarket for repairs and maintenance. Intellectual property– The Commission noted that unlike Section 3(5), there is no exception to section 4(2) of the Act. Therefore, if an enterprise is found to be dominant pursuant to Explanation (a) to Section 4(2) and indulged in practices amounting to denial of market access; it is no defense to suggest that such exclusionary conduct is within the scope of intellectual property rights of the OEMs. It was noted that the OEMs enter into three types of agreements: (a) agreements with overseas suppliers; (b) agreements with OES and local equipment suppliers and (c) agreements with authorized dealers and analysis was done to determine whether these agreements and arrangements were prohibited under section 3(4) of the Act. “between” under Section 3(3) and “amongst” under Section 3(4): It was argued by some OEMs that an agreement relatable to section 3(4) cannot be a bilateral one and has to be an agreement between 3 or more persons, (e., multilateral) and that the provisions of the Act will apply to vertical agreements, i.e., agreement between the OEMs and the OESs or the OEMs and their authorized dealers, only when three (3) of more parties are present to an agreement. The Commission held that the Legislature did not intend to restrict the application of the provisions of section 3(4) of the Act to only multilateral agreements and that such an interpretation shall encourage enterprises to enter into anti-competitive vertical agreements by structuring such agreements as bilateral agreements. Analysis of agreements/arrangements between the OEMs and their overseas suppliers: The DG alleged that it is possible that there was an internal arrangement/understanding between the OEM and their overseas suppliers restricting the latter from supplying spare parts directly to the Indian aftermarket in the nature of an exclusive distribution arrangement/understanding under section 3(4)(c) of the Act. The Commission, however, was unable to conclude the existence of these agreements within the meaning of section 3(4)(c) of the Act, because of insufficiency of evidence. Analysis of agreements/arrangements between the OEMs and theOESs: The OEMs were procuring spare from the localOESs.Their dealing were verticalin nature and the Commission concluded that these agreements were having features of exclusive distribution agreement and refusal to deal as per the provisions of section 3(4)(c) and (d) of the Act. Balance between factors in Section 19(3): The Commission observed that Section 19(3)(a)-(c) deal with factors which restrict the competitive process in the markets where the agreements operate (negative factors) while clauses (d)-(f) deals with factors which enhance the efficiency of the distribution process and contribute to consumer welfare (positive factors). Whether an agreement restricts the competitive process is always an analysis of the balance between the positive and the negative factors listed under section 19(a)-(f). Where an agreement, irrespective of the fact that it contains certain efficiency enhancing provisions, allows an enterprise to completely eliminate competition in the market, and thereby become a dominant enterprise and indulge in abusive exclusionary behavior, the negative factors should be prioritized over the positive factors. Protection of OEM’s IPR: The Commission was of the opinion that the restrictions placed on the OESs adversely affects the competition in the automobile sector and falls within the mischief of Section 3(4) read with Section 3(1) of the Act. The OEMs submitted that the restrictions imposed upon the OESs were necessary to ensure quality control and protect the goodwill of the brand of the OEM. The Commission observed, inter alia, that the OEMs can, through its contractual agreements with the OESs, ensure that its intellectual property rights are not compromised and are protected. The OEMs can license their safety check methodology to their OESs for a royalty fee and can require that the OESs label the genuine spare parts sold by them directly in the aftermarket with appropriate labels to limit their liability. The Commission was of the view that the ultimate choice should be left with the consumers who may choose either an authorized dealer of the OEM or an independent repairer to purchase spare parts of repair services. Availability of the IPR exemption under Section 3(5)(i) of the Act: Section 3(5)(i) allows an IPR holder to impose reasonable restrictions to protect his rights ‘which have been or may be conferred upon him under’ the specifiedIPR statutes mentionedtherein. Statues specified in Section 3(5)(i): The OEMs were unable to establish their claim of IPRs in the spare parts and the diagnostic tools to avail of the exemption provided in Section 3(5)(i) of the Act. Further, even if the parent corporation of the OEMs held such rights in the territories where such rights were originally granted, the same cannot be granted upon the OEMs operating in India by entering into a technology transfer agreement (“TTA”) (The Commission held that the OEMs, pursuant to a TTA, were holding a right to exploit a particular IPR held by its parent corporation and not the IPR right itself. ), unless such rights have been granted upon the OEMs pursuant to the provisions of the statutes specified under Section 3(5)(i) of the Act. Consequently, such OEMs could not avail of the exemption provided in Section 3(5)(i) of the Act. Necessary restrictions: The exemption under section 3(5)(i) allows an IPR holder to “impose reasonable conditions, as may be necessary for protection any of his rights”, thus qualified by the word “necessary”. The Commission held that the OEMs could contractually protect their IPRs as against the OESs and still allow such OESs to sell the finished products in the open market. Since the exception under Section 3(5)(i) of the Act was not applicable to the agreements between OEMs and OESs, the contravention found by the Commission under Section 3(4)(c) & (d) read with Section 3(1) of the Act was established. Analysis of agreements/arrangements between the OEMs and the authorized dealers: The Commission was of the view that consumer’s choice should not be taken away in the guise of consumer protectionism. It held that by restricting access of independent repairers to spare parts and diagnostic tools and by denying the independent repairers access to repair manuals, the agreements entered into between OEMs and authorized dealers fell foul of the provisions of Sections 3(4)(b), 3(4)(c) & (d) read with section 3(1) of the Act. The Commission noted that in both mature and the developing competition law regimes of the world, refusal to access branded or alternate spare parts and technical manuals/repair tools, necessary to repair sophisticated consumer durable products, such as automobiles, was frowned upon. The Commission concluded the order by observing that it is necessary to (i) enable the consumers to have access to spare parts and also be free to choose between independent repairers and authorized dealers and (ii) enable the independent repairers to participate in the aftermarket and provide services in a competitive manner and to have access to essential inputs such as spare parts and other technical information for this purpose. The Commission in addition to imposing a penalty of about Rs. 2545 crores and a cease & desist order, inter alia, directed the OPs to put in place an effective system to make the spare parts and diagnostic tools easily available through an efficient network and allow OESs to sell spare parts in the open market without any restriction. Further no impediments were to be placed on the operation of independent repairers/garages. The Commission, through this order, also drew the attention of the government to the lack of suitable legislation pertaining to safety and standards relating to spare parts and after sales services. Analysis of the order: This order creates many firsts for competition law jurisprudence in India. 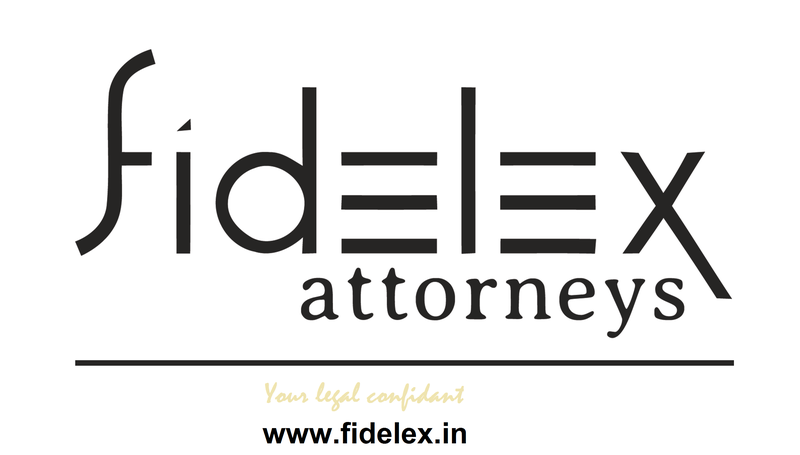 This is the first order of the Commission pertaining to the concept of ‘aftermarkets’ and in which an agreement under Section 3(4) of the Act was found to have an appreciable adverse effect on competition in India. There is an interesting interplay of Section 3(4) and Section 4 of the Act in the instant case, since dominance in the aftermarket for sale of spare parts and repair of automobiles is created through a series of agreements and arrangements of the nature prohibited under Section 3(4). The OEMs, through these vertical agreements and arrangements, in turn were abusing their dominance in violation of Section 4 of the Act, thus resulting in a vicious circle where the OES’ bargaining position is progressively weakened and the OEMs continue imposing restrictive clauses; further strengthening their dominance. This model is not self-correcting and hence interference of the Commission was appears to be necessary. This is also the Commission’s first order to discuss the interface between IPRs and competition law. Competition law and IPR regime promote innovation and consumer welfare, albeit through different means. Innovation gives rise to competition, thus encouraging more innovation, and ultimately resulting in economic development of the country. The Commission, by only restricting a dominant enterprise from indulging in unfair prices and suggesting methods to sell finished goods in open market without compromising on OEMs’ IPR on spare parts and diagnostic tools, has strived to strike a balance between the objectives of IPRs and competition law. Mr. Ashok Chawla, the Chairperson of the Commission, stated in an interview at an ASSOCHAM event that this order is an attempt to make the spare parts and maintenance market more broad-based, user-friendly and less expensive for the consumers. In the coming days, it will be interesting to see how this sector will reorganise and correct itself, in the light of this order, and whether the OESs, independent service providers and the end consumers can avail the benefits of a competitive market. This entry was posted in Caselaw Analysis, Competition Law, Intellectual Property. Bookmark the permalink.